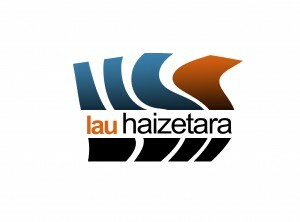 Details are emerging little by little of the 14th edition of the Lau Haizetara Documentary Co-Production Forum, which will take place in San Sebastián from 25 to 27 September 2018. Each year, the forum welcomes an increasing number of professionals from the film industry related to the documentary genre, who are keen to discover from the experts the latest trends in this field and thus obtain tools that benefit the development and strengthening of new projects. During the pitching session on 27 September, at the Kursaal Congress Centre, the project director and producer will have 7 minutes to pitch all their project’s potential and show the teaser to the panel members and the members of the public in attendance. The program will be complemented with an agenda of one-to-one meetings of approximately 12-minutes between the Commissioning Editors and the representatives of the presented projects, with the aim of specifying possible collaboration agreements. If you are interested in attending the presentation of projects and meeting professionals from the audio-visual and cinematography sectors, you still have time. Consult the conditions HERE.